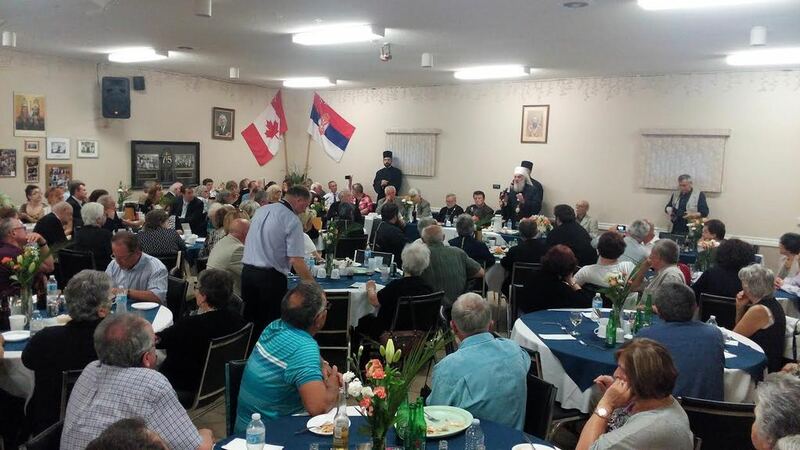 Niagara Falls, Ontario - His Holiness Serbian Patriarch Irinej, administraror of the Diocese of Canada, visited the Serbian community and the St. George parish in Niagara Falls on Wednesday, June 10, 2015. 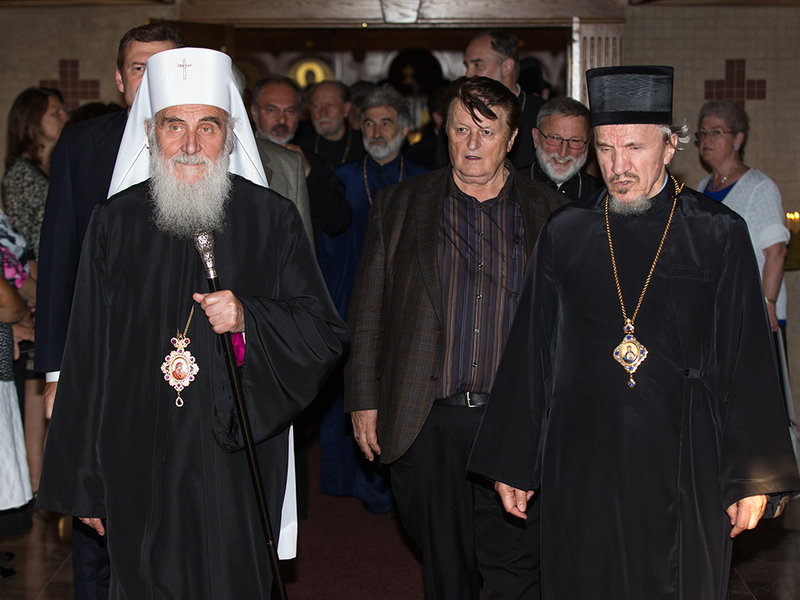 Protonamesnik Dejan Obradovic, the parish priest, welcomed His Holiness, together with Episcopal Deputy V. Rev. 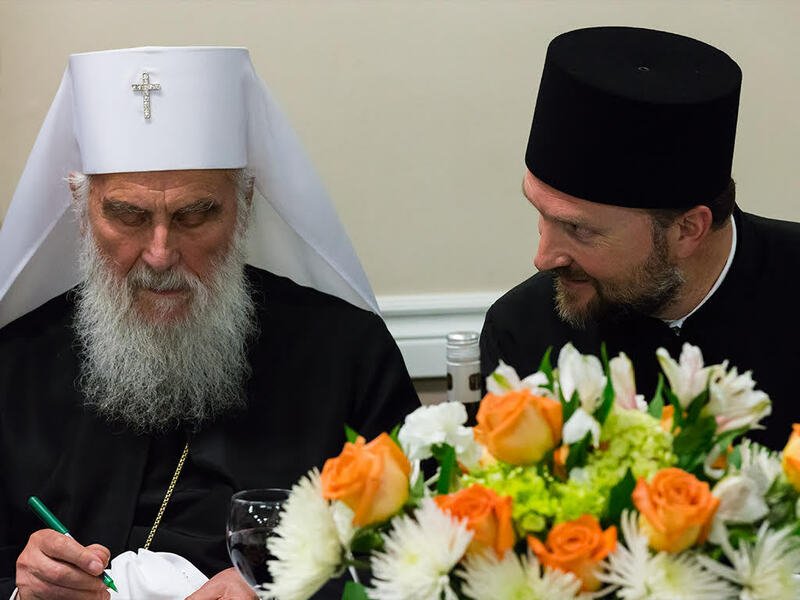 Stavrophor Vasilije Tomic, V. Rev. 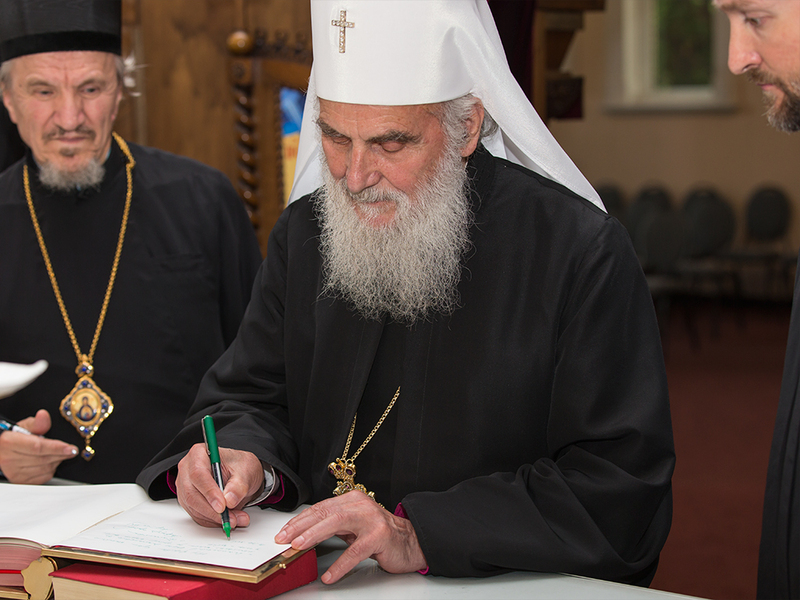 Stavrophor Lazar Vukojev, V. Rev. Stavrophor Prvoslav Puric, V. Rev. 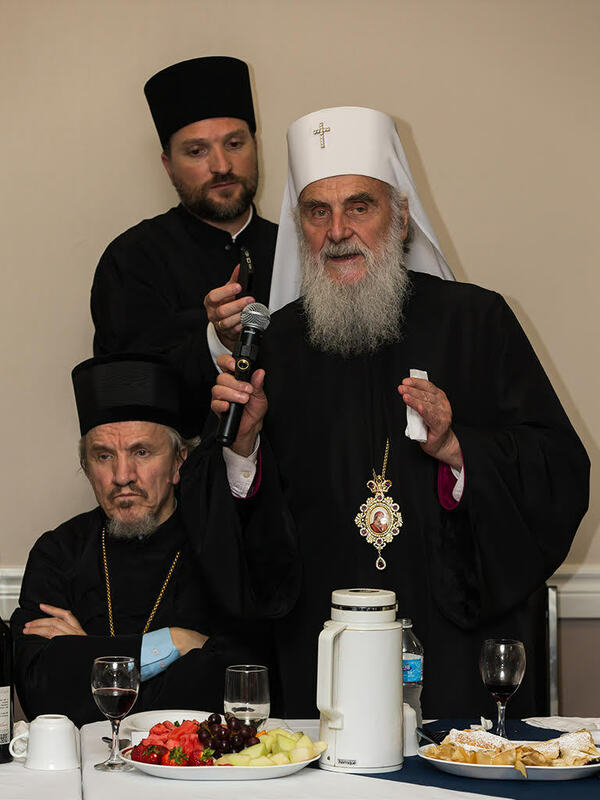 Dobrica Obradovic, V. Rev. Stavrophor Vojislav Pavlovic, V. Rev. Stavrophor Milovan Sredojevic, V. Rev. Stavrophor Milojko Dmitric, Fr. 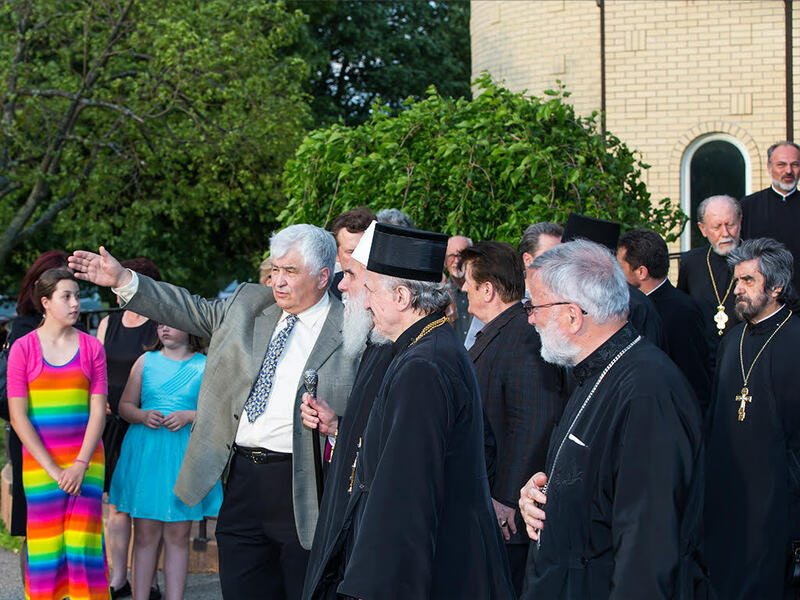 Djuro Samac, Protonamesnik Aleksandar Crnogorac, secretary of the Diocesan Council, and Fr. Jovan Marjanac. 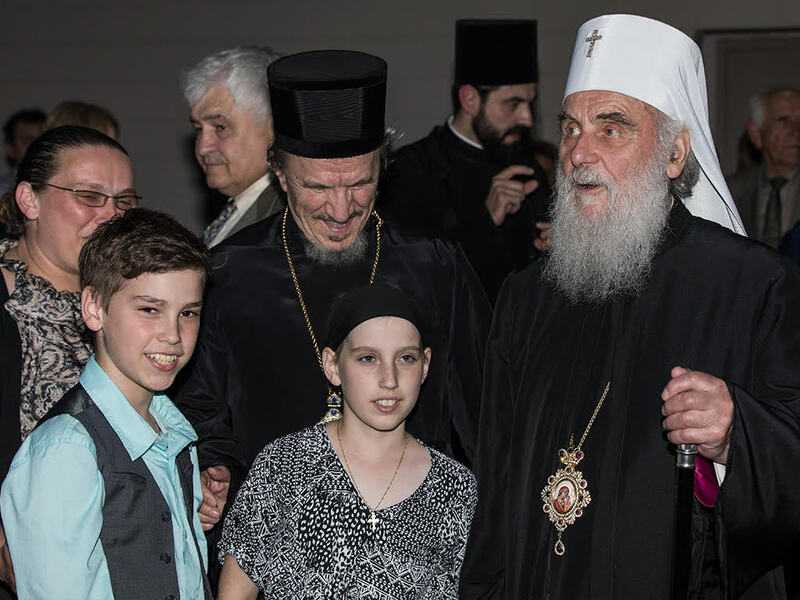 Together with the clergy, welcoming the Serbian Patriarch was a large number of parishioners who filled the church and awaited His Holiness' blessing. 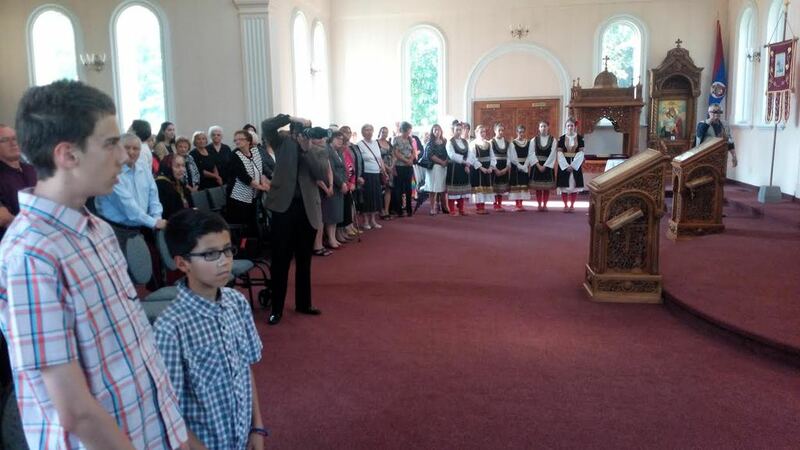 The St. George choir made His Holiness' welcome all the more magnificent with their singing of the tropar to St. George. 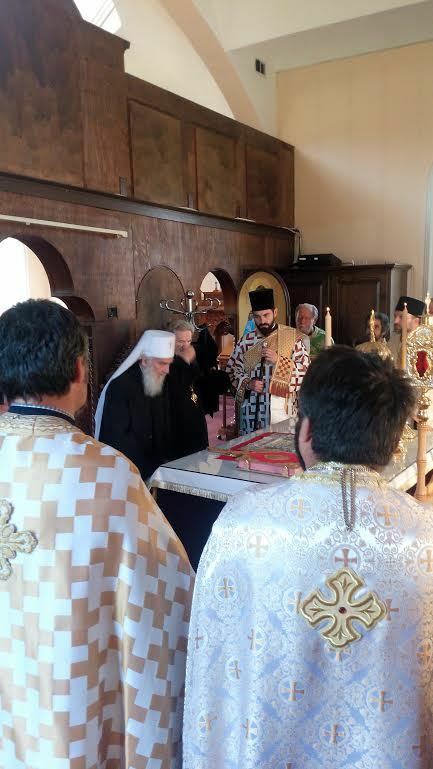 Following Vespers, which was served by the parish priest Protonamesnik Dejan Obradovic and Protodeacon Damjan Bozic, the host priest welcomed His Holiness with words of greeting. 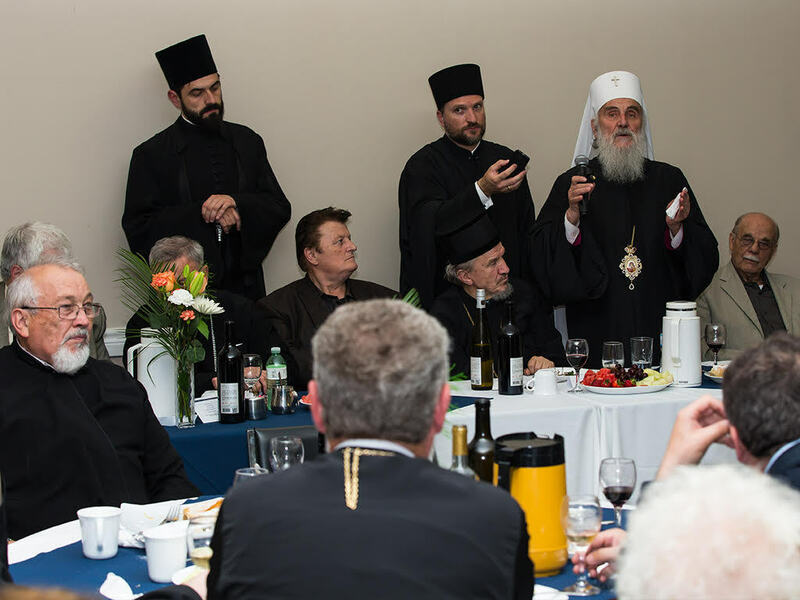 He thanked His Holiness Serbian Patriarch Irinej and His Grace Bishop Mitrophan of Eastern America in his own name and on behalf of his parishioners. 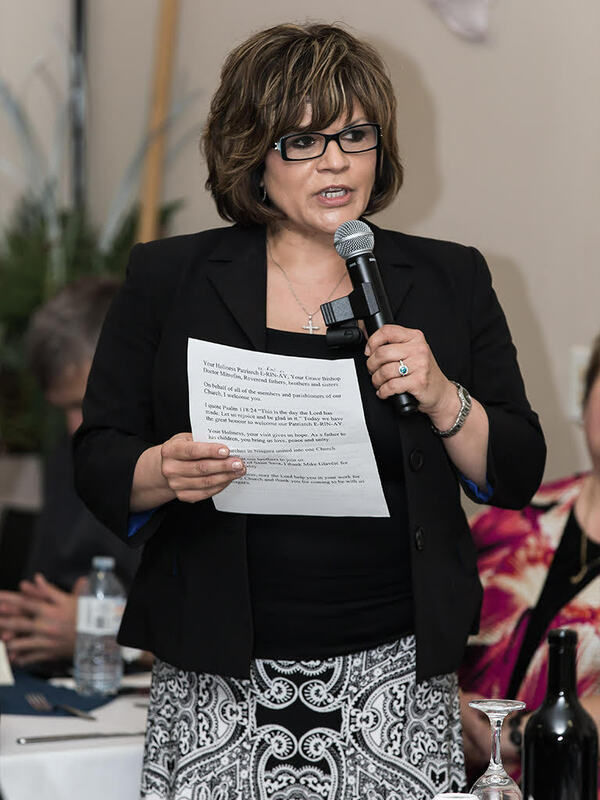 Today is indeed a great joy for the Niagara parish, though small it is one of the oldest in Canada. 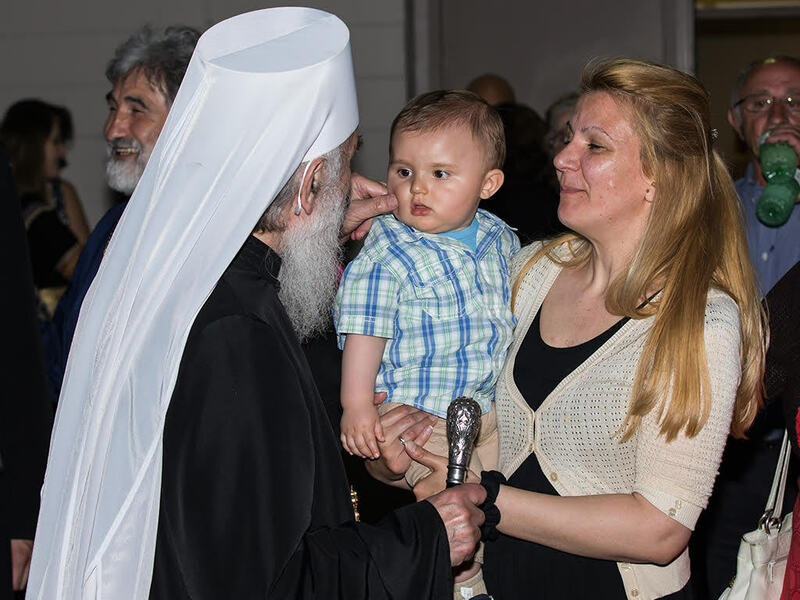 This parish know you, Your Holiness, by your blessing, your love and care which you show towards all of us. 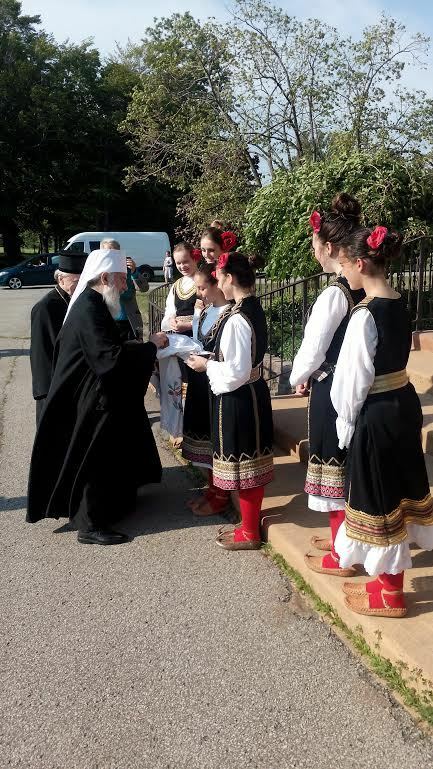 We are joyful for you bring us peace, love, joy and the grace of the Holy Spirit, and for this reason do we beseech you, Your Holiness, that you bless us and this parish in Niagara with the blessings of St. Sava and all the holy archbishops and patriarchs of Serbia on whose throne you wisely lead us that we remain the people of God as our holy ancestors were. On behalf of the St. George parish and the church school congregation and all the parish organizations, and in my own name, I greet you, asking Your Holiness' blessing.